It seems Android users are forever waiting for the best games to land on the Play Store. Here’s another one. Disney Interactive’s adaptation of the Tim Burton film, Alice in Wonderland launched on the App Store yesterday, but is still awaiting an Android release. 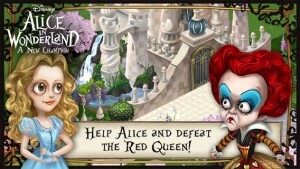 Alice in Wonderland: A New Champion is a magical adventure that will have you playing the role of Alice or Lewis, drawn down the rabbit hole into the fantastical world of Wonderland (Underland) where you will fight the return of the evil Red Queen from her exile. If you have already seen the movie, you’ll find an instant familiarity with the game. 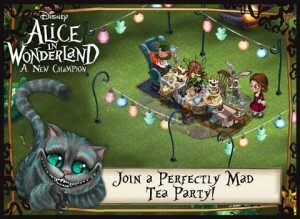 The characters, be it Mad Hatter, White Rabbit, or March Hare bear a striking resemblance to the ones in the movie. You will traverse through enchanting environments, and be a part of the Mad Tea Party, see the magnificent White Queen’s Castle, and Bayard’s Village among others. 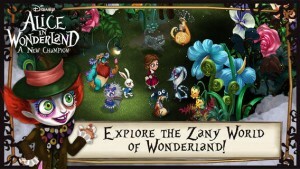 As you travel through different worlds, you will solve puzzles and complete tasks. 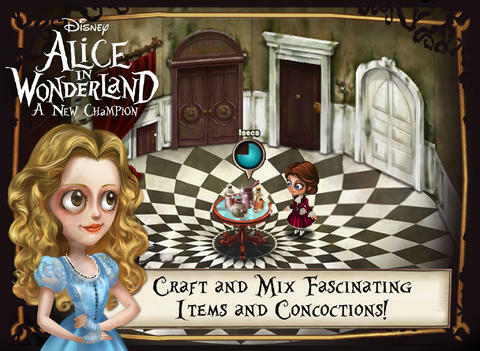 You will make use of portions to clear the mists in the woods and retrieve hidden items. As is becoming the trend with Disney games, tasks and quests are time based but you can speed them up using IAPs. The game’s graphics look highly appealing and the much loved storyline and deep quests should keep kids and adults happy. I’ll bet you are ready to become the new champion of Wonderland but while you wait for the game to be released on Android enjoy this breathtaking trailer and screenshots.